The banking royal commission has given an unexpected boost to a near-full national office market, with landlords being inundated with calls for extra space, says The Age. Demand is coming from the financial services, banking, and legal professions, which are racing to establish separate compliance and project teams to work through the recommendations in Justice Kenneth Haynes’ report. The Commonwealth Bank of Australia is in the market for up to 20,000 square metres of office space to quarantine its wealth management business and other companies are expected to follow suit if they have to sell their financial services business. According to the Property Council of Australia Office Market Report, vacancy rates in the Sydney and Melbourne CBD office markets are at their lowest in a decade. With Melbourne at 3.2 per cent and Sydney dropping to 4.1 per cent, both markets are now at “incredibly low levels”, said PCA chief executive Ken Morrison. Overall, Australian office vacancy fell by 0.7 per cent in the six months to January 2019 to 8.5 per cent, which is its lowest level since January 2013. The Sydney CBD office market is expected to benefit in the short term from the banking royal commission with increased demand for office space from financial institutions, consultants, and lawyers dealing with the fallout from new regulatory requirements, said Cameron Williams, national director, office leasing at Colliers International. ”Changes in the financial industry will create new requirements in 2019/2020 from new entrants to the Australian market, examples may include Resolution Life, AIA and MUFG Trust Bank,” Mr Williams said. Simon Hunt, Colliers International managing director of office leasing, added that with increased regulations in addition to banks considering split operations, ”we expect the finance industry will record a strong number of transactions over 2019”. ”Our Office Demand Index saw the Finance, IT and Property Services industries recorded over 200 enquiries last year, looking for space, on average, around 740 square metres, and we expect this will continue to grow in the year ahead,” Mr Hunt told The Australian. JLL head of office leasing Tim O’Connor said Adelaide, Perth and Brisbane would be the markets to watch this year as economic growth underpinned tenant demand and effective rental growth. “Further tightening of prime-grade vacancy in these recovering markets in 2019 should lead to a reduction in leasing incentives and a return to positive effective rental growth,” he said. However, Mr O’Connor noted that public sector leasing would slow in the first half of the year on the back of the federal election. In contrast, retail landlord SCA Property Group’s funds management business has taken a direct hit from the banking royal commission’s crackdown on financial planners, said the AFR. A day after Commissioner Kenneth Hayne released his final report on misconduct in financial services, SCA chief executive Anthony Mellowes said the group, which owns 85 convenience malls worth $3.15 billion, had put the launch of the fourth in its series of unlisted retail property trusts on ice. The unlisted trusts program, which has allowed SCA to take non-core assets off its balance sheet, has been marketed by financial planners to retail investors with the first three funds proving very popular with self-managed super fund investors. But Mr Mellowes said the appetite among financial planners to promote new products had “naturally pulled back” since the royal commission. “We had planned to launch SURF 4 this financial year, but have delayed it because the market conditions just aren’t there,” said Mr Mellowes. Housing Industry Association principal economist Tim Reardon called on both policy makers and lenders to respond “judiciously” to the banking royal commission’s recommendations, reports The Australian. 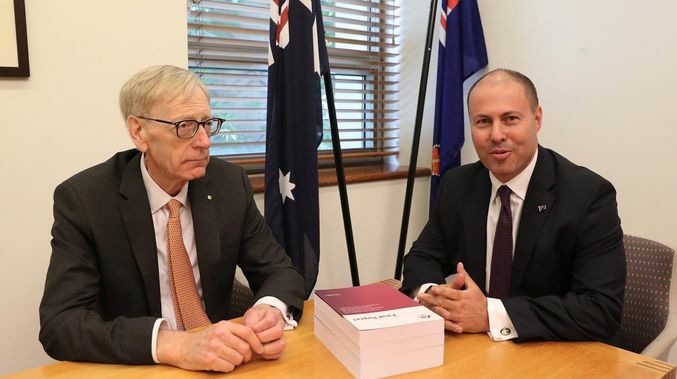 The Property Council of Australia also issued a blunt warning in the wake of the commission’s recommendations, saying it was important “not to break the economy” as policy makers set about fixing the banks. “On first blush, the government’s response seems to strike the right balance,” PCA chief executive Ken Morrison said, noting the overhaul proposed for the mortgage-broking industry could have important consequences for the residential property industry.